Ross Lovegrove’s Diatom chair, Luca Nichetto’s Aureola tea set, Raw Edges’ Caesarstone kitchen – these are just three of the 10 designer products that made our best-of-the-year list. The Blink collection is both totally Yabu Pushelberg and utterly surprising. Known for their opulent yet elegant furnishings and interiors, the duo designed this lovely line of pieces made with stained white oak, leather, antiqued bronze and blackened steel and accented with a trio of playful motifs: a hand, an eye, and a perfect circle. 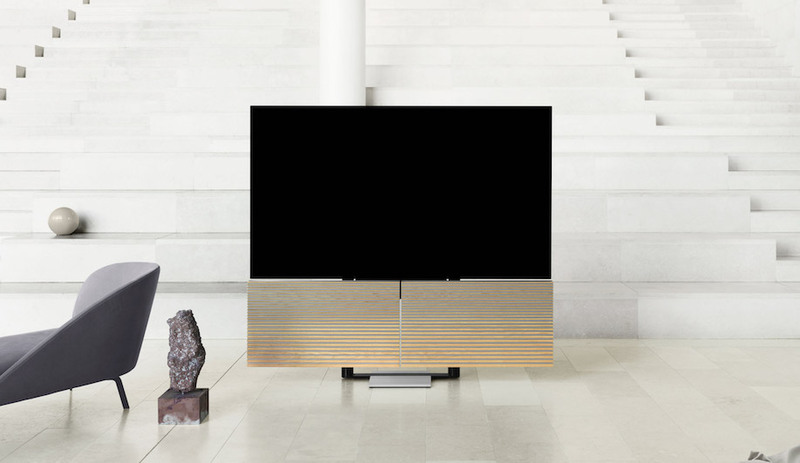 All sporting softly curved angles, the easy chair, coffee table, side table, two-seater sofa, screen, small vertical cabinet, and large horizontal cabinet appear to talk to you, to convey a personality. 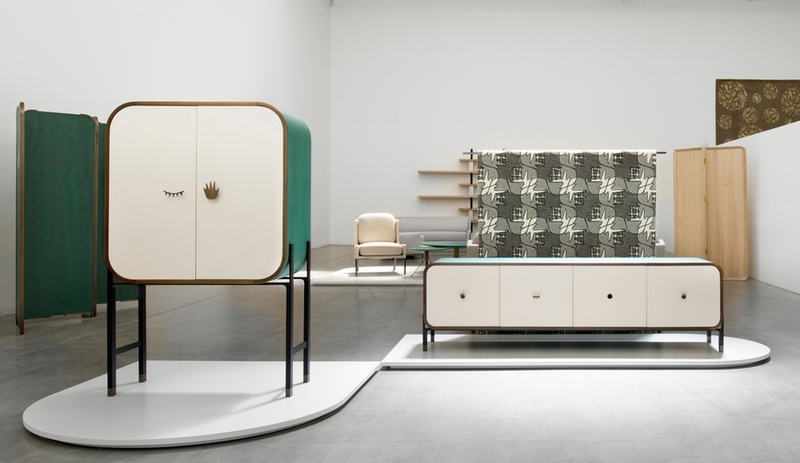 It’s an impressive collection, one manufactured by the young furniture company Stellar Works, based in Hong Kong (with facilities in Shanghai) with creative direction in Copenhagen. 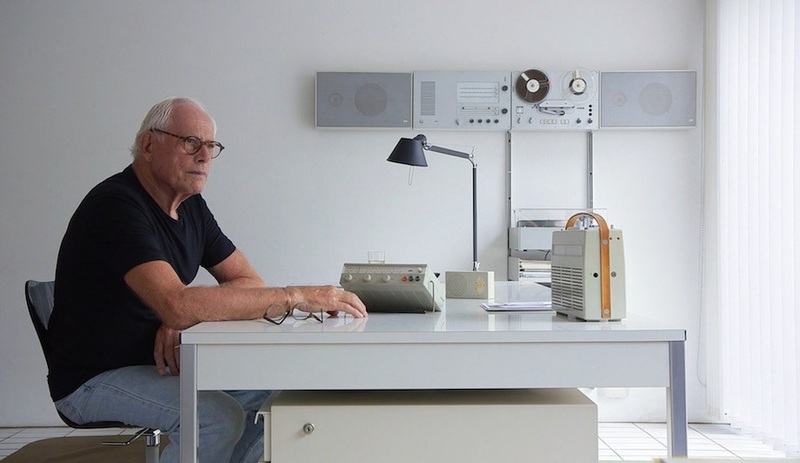 Snøhetta is a national treasure of Norway – where it designed the iceberg-like Oslo Opera House – so it’s no wonder the firm (which also has an office in New York) has rebranded the country’s money. 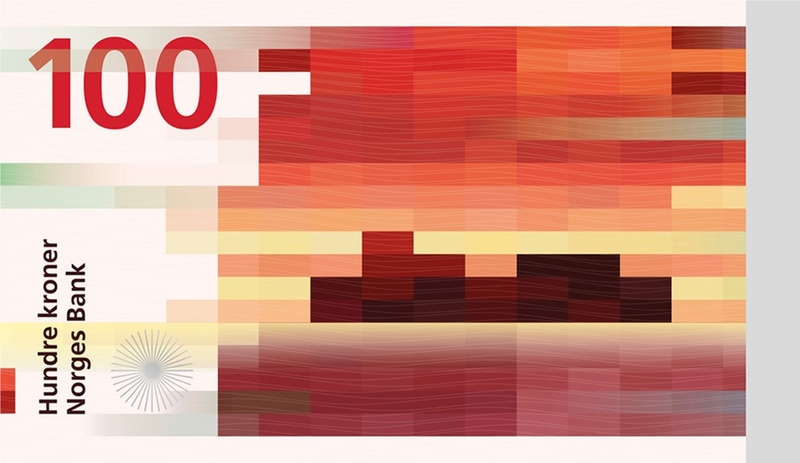 Its “beauty of boundaries” concept, based on the ideas of German physicist and chaos theorist Peter Richter, represents the sea morphing into the land – a Norwegian coastal landmark rendered in a pixelated pattern on the back of the banknote. While the firm’s idea for the front side – romantic black and white photography of seascapes – was turned down in favour of more traditional graphics by The Metric System, its bold and colourful treatment is the money shot. The central bank will release the kroners in 2017. Designer Luca Nichetto (who splits his time between Stockholm and Venice) is a big proponent of long-distance collaborations and many of his projects have taken shape via social media sharing. His latest co-production is with Mjölk, a boutique store in Toronto run by John and Juli Baker, who commissioned Nichetto to create tableware products that could be realized by local artisans. Aureola, the second of two such collaborations, is an elegantly crafted porcelain tea set with two cups and a filter nested on top of a pot, and coated with gunpowder pigment. 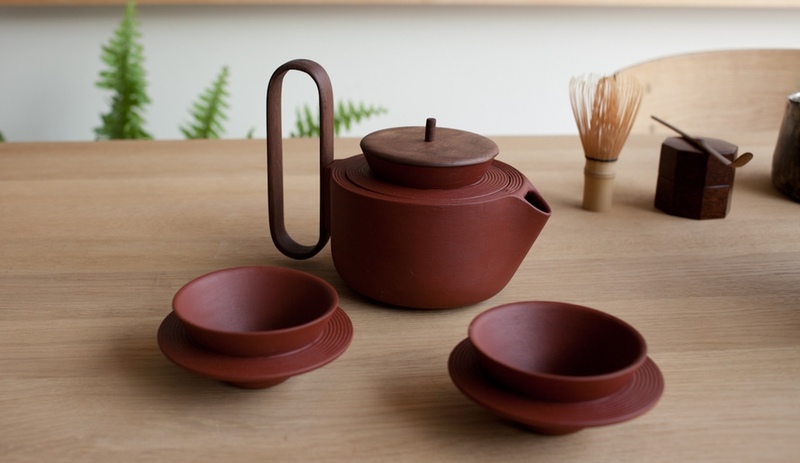 The earthy hue is reminiscent of Chinese tea sets, and Nichetto says he and his co-designer, Lera Moiseeva of New York, were channeling the characteristics of Asian tea ceremonies to reintroduce the ritual aspects of sipping tea. Why tea? Nichetto says even nowadays, tea is a big part of social relationships in several countries. It’s another form of communication. Made from untreated poplar wood, Cloud Table was one of 2014’s most elegantly realized pieces of furniture with integrated technology. The 70-metre-long table by Rotterdam’s Studio Maks was part of an exhibition held during Milan Design Week; it was installed within an open warehouse space where its super-skinny profile (held up by thin steel legs) appeared to float through the air, widening and thinning at various points like a river, and creating inviting areas for visitors to gather in small groups. 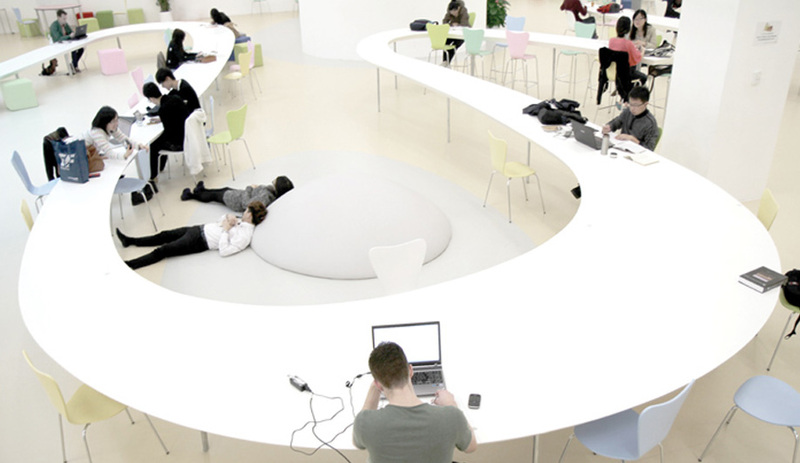 Once visitors settled in, they found they could also plug in their devices via integrated wireless charging pads and check their email through wi-fi signal enhancers. Bec Brittain has had a great year. The New York designer, best known for her sculptural lighting, debuted the Seed chandelier for Roll & Hill during New York Design Week in May, and it was definitely a highlight of both the company’s collection – on view in a dramatic display at 530 Fifth Avenue, each fixture ghostly behind a white gauzy curtain – and the year in lighting. As she told Azure, the fixture, made of angular glass modules affixed to a metal frame, aims to capture how new crystals form. “They’re asymmetrical,” Brittain says, “because I want them to reflect the natural, spontaneous moment of a seed crystal starting.” She’s certainly succeeded in starting something exciting. When Danskina announced it had appointed Hella Jongerius as its new design director, the choice instantly resonated as an ideal match. 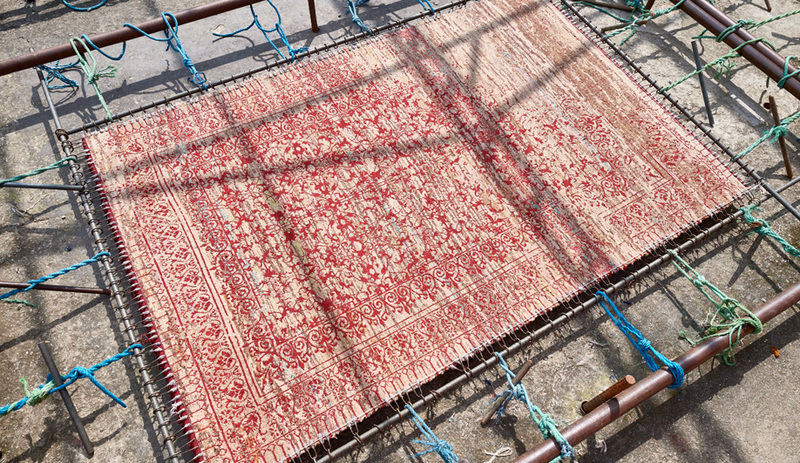 The 41-year-old rug company is known for its high-quality production, and Jongerius is revered for her impeccable sense for colour mixing and textural mashups. 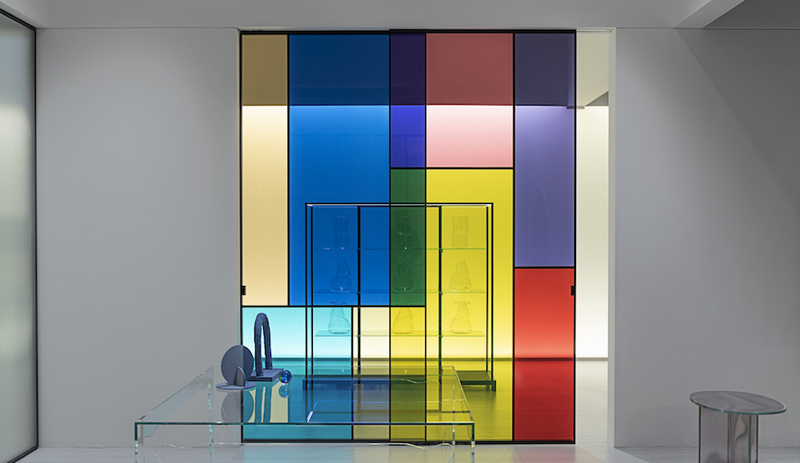 The inaugural collection, shown in April at Salone del Mobile, did not disappoint. 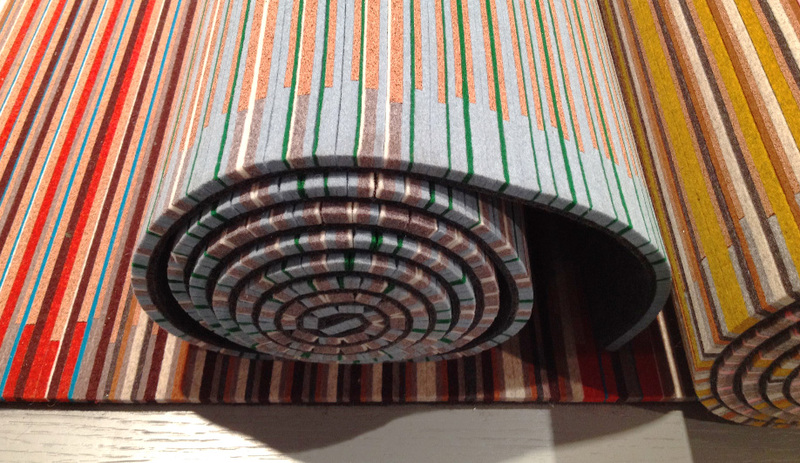 Among the various duotone weaves and tufted shags, there was Cork & Felt, a rug comprised of narrow strips cork inserted between ribbons of felt. While both materials are common, it is rare to find them integrated together, and the combination ingeniously added a layer of functionality: the felt gives the carpet warmth while the cork makes it anti-slip. Warmer, warmer, hot! 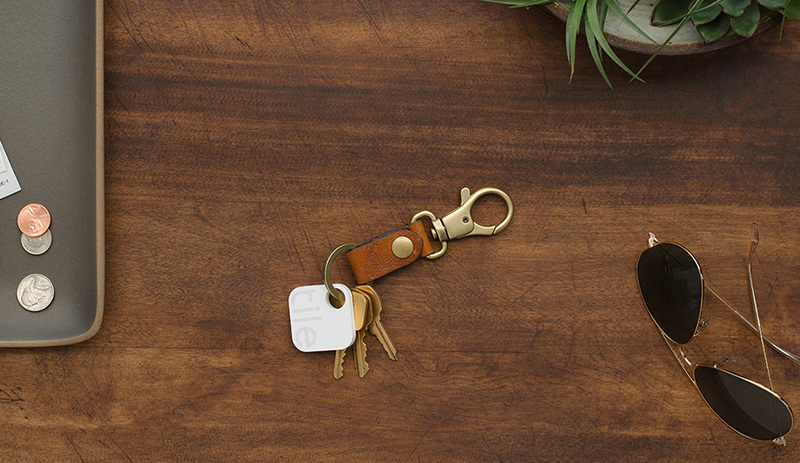 Tile, a small gadget you can hook to your keys, your purse – anything you routinely lose track of – communicates with an iPhone app to tell you how close you’re getting to finding it, as it plays a melody to further guide you. The app supports up to eight tiles so you can tag many items. It casts a Bluetooth signal up to 100 feet, making it ideal for finding things misplaced in the vicinity. But if the item you’re searching for is farther away – say you forgot your tagged wallet in a restaurant – it also records the last place your phone saw that tile, helping to retrace your steps. The Tile was launched through crowd funding and raised $2.6million in sales, which shows just how much this device was a necessity. Eurocucina, the kitchen fair held biennially during Salone del Mobile, was chock full of novel concepts for the hottest room in the house, with big names tailoring new cabinetry, among them Daniel Libeskind (for Poliform), Patricia Urquiola (for Boffi), and Oki Sato of Nendo, whose Ki system for Scavolini replaced cupboards with open shelves lined with white buckets. 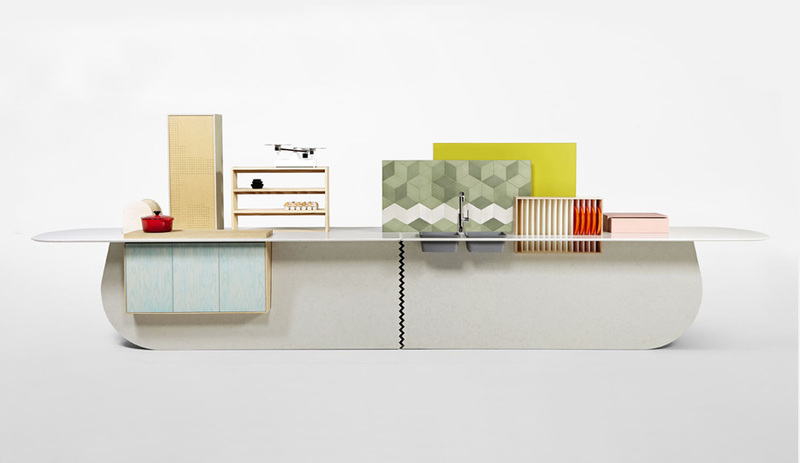 But no one reinterpreted the kitchen with as much stunning panache as Yael Mer and Shay Alkalay of Raw Edges. 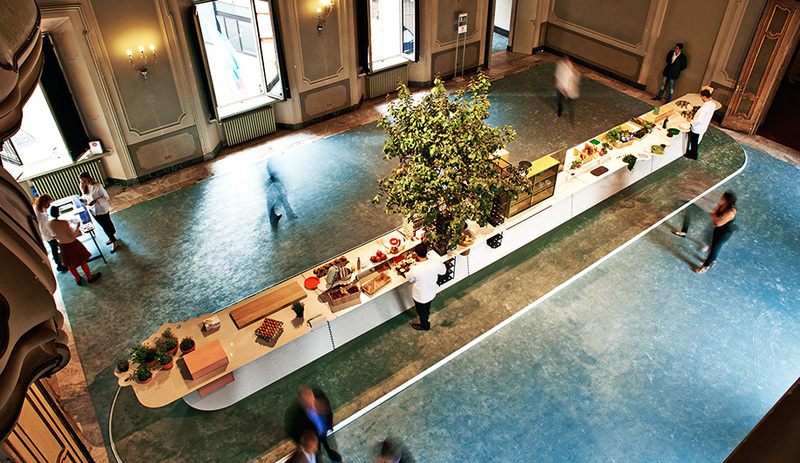 Working with Caesarstone, the London duo revealed the theatre of cooking with one long workstation made from the stone composite and installed in Palazzo Clerici, one of Milan’s most beautiful mansions. Everything from pots and bowls to towering stacks of egg cartons were integrated into the countertop via slots and holes. The aim was to create the antithesis of the ultra-minimalist desire to hide everything behind handless doors. Even a lemon tree grew out of one of the holes. Take one of the most future-forward designers, and one of the biggest craft-oriented furniture manufacturers and you’ll get the buzziest chair of the year. 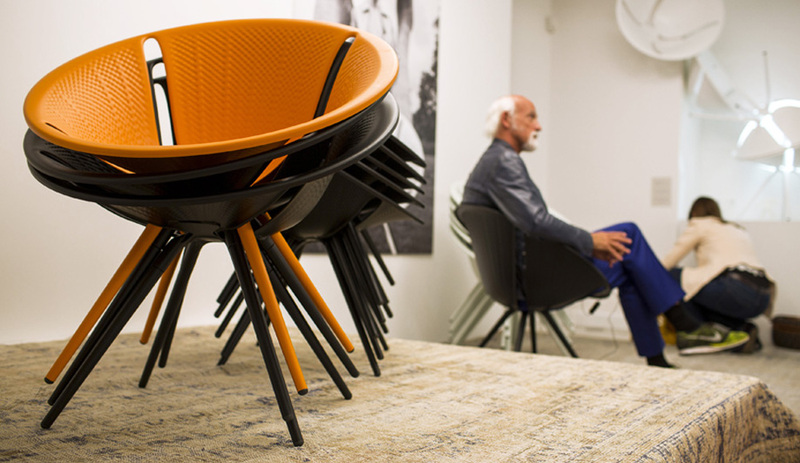 Ross Lovegrove, known for his sleek designs of everything from watches to showerheads and cars – all evoking the next generation of their product category – brought together two seemingly opposing starting points for his Diatom chair. 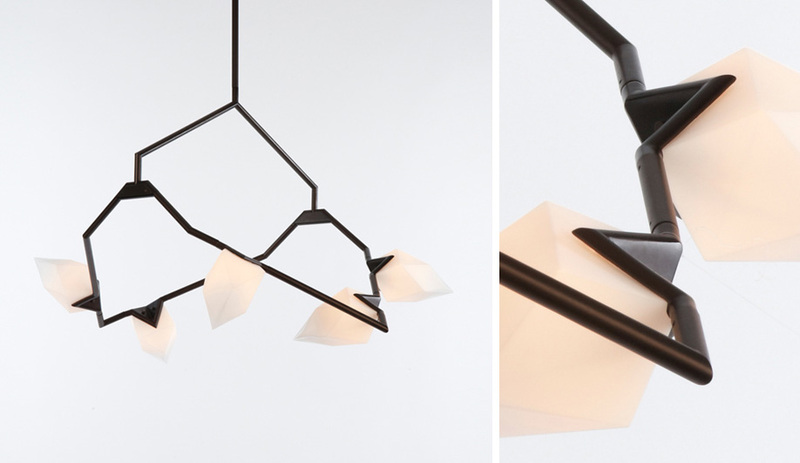 Its shape is inspired by naturally fossilized plankton, yet it is made solely through digital design and fabrication. 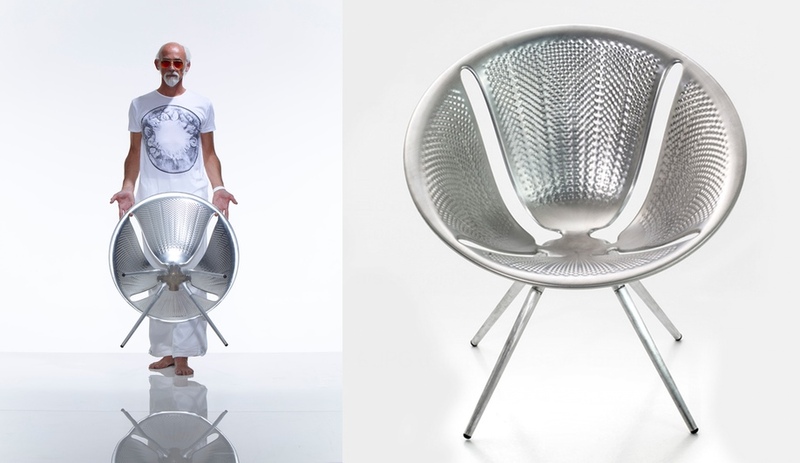 The aluminum seat uses the same metal-pressing technology that the car industry employs, and is coated in a clear or laquered protective treatment. This just might be the most high-tech product that Moroso, known for its often whimsically upholstered seating systems, has manufactured – and its most practical. The vertical stacking chair is a material minimalist. Not only is it one of the best wearable devices, the Apple Watch – introduced in 2014 and set to disrupt the market when it’s officially released in 2015 – is one of the most impressive designs of the year. We’ll just have to wait and see if it spurs the kinds of endless queues at stores worldwide that greet every new Apple offering, but we’re predicting it will go beyond the niche market of Google Glass. That’s partly because it’s a watch – and timepieces and bracelets with integrated technologies are already becoming popular, with popular fashion houses releasing their own wearable-tech arm bling – and also because it is as sleekly designed as any Apple product. 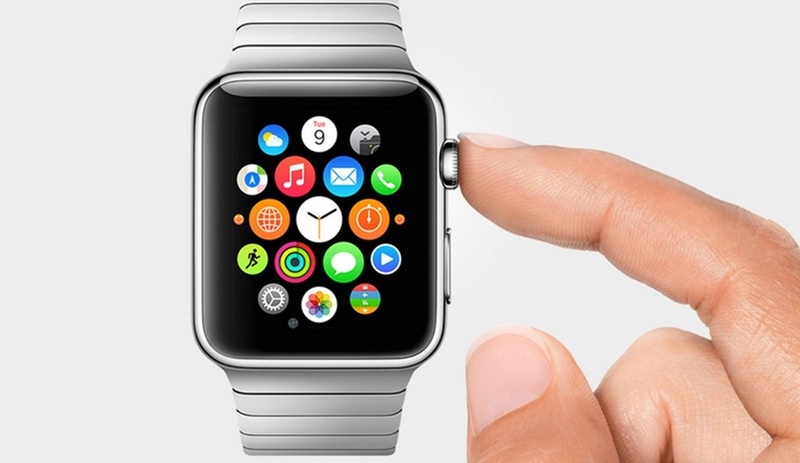 Plus, it lets you email, text and lower your thermostat, right on your wrist.